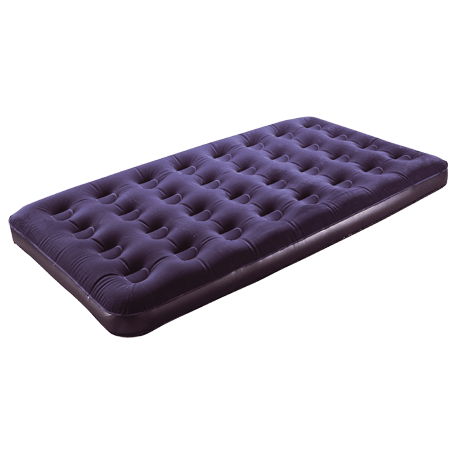 The Royal single flock air bed is created with durability and comfort in mind. The bed utilises durable PVC with a waterproof flocked top to ensure its longevity and guarantee a comfortable night's sleep for campers. The bed also has an easy inflate valve, ensuring that it requires minimal set up time and folds easily to aid storage and transportation.